For the bulk of businesses – big or small – an online presence is an essential tool to survive and succeed. And with so much business activity online, it’s no surprise to find that portrait photographers are tapping into the now booming ‘social media headshot‘ market. There’s little, if any, difference between an ‘online corporate portrait’ and an ‘offline corporate portrait’, but Melbourne photographer Ramona Lever (right) explained to Pro Counter that her entire business is shooting ‘online corporate portraits’. In fact, those last two sentences describe the major difference. Clients only receive high resolution digital files, which they’re welcome to use for print if they so desire – but mainly the photos end up on LinkedIn, Facebook or business website. She says that this plays to her advantage because she can deliver the finished images within a week of the shoot. 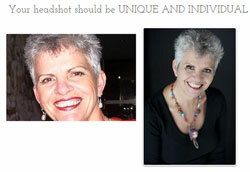 Clients choose from three ‘individual headshots’ packages listed on the website. The cheapest is a $295 30-minute shoot for two images; next a $450 one-hour shoot for five images; and finally a $995 half-day shoot for 10 images. All prices are listed and are standard unless add-ons are bought – such as make up (included in the half day), extra images, banners, or on-location shoots. And the client is always encouraged to bring in whatever outfits or props best complements their personal brand. Ramona is an ideal fit for a modern day portrait photographer. Prior to pursuing photography, she was a social counsellor before moving onto business coaching. Here she spent most of her time working with small business owners, helping identify their ‘unique skillset’ and how to communicate that to their clients. But after a health scare, a career change was in order. Harking back to her teenage years working at a Fujifilm photo lab, Ramona decided to pick up a camera and merge her personal branding skills with her love for photography. 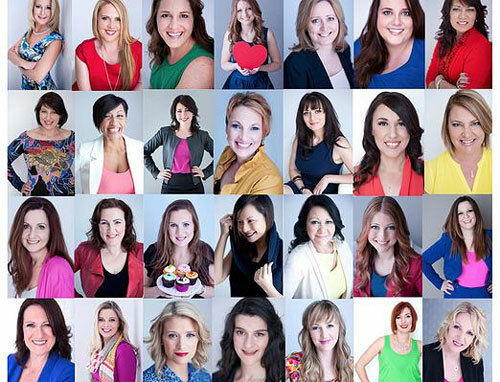 And in 2010 she registered an ABN for Branding Headshots, just as the internet ‘opened for business’. ‘It was really organic and very lucky for me. I think I was pretty much one of the first ever photographers to combine the two together – well around here, anyway. Now a lot of people do it and there’s a lot of headshot, branding photographers,’ she said. Earlier this year a press release landed in Pro Counter‘s e-mail inbox from US portrait studio, ClickChick photography, announcing the launch of a new website, Scottsdale Headshot. This website is dedicated solely to selling corporate social media headshots. While promoting your US-based portrait photography business to an Australian audience is wildly ambitious, practically every major city now has a portrait photographer advertising social media portraits. Even Darwin! Social media or online portraits have become increasingly important for many reasons; social media focuses intensely on individuals and personalities – especially business owners. Given it’s also a visual environment, there’s no excuse to not slap a face or two into a business profile – be it a big corporate business; or a small personal training venture. And Facebook and its competitors have been shaped into a tool for businesses to market and sell, a far cry from the ‘traditional’ social network it once was. But a business has to work hard to stand out from the noisy, chattering crowd of its competitors, fans, critics, followers, trenders, trolls and so on, and photography is an ideal and visual way to do this. The Australian Bureau of Statistics reported in March that between June 2013 and June 2014 there was an increase in 20,000 businesses nation wide, largely in the ambiguously termed ‘Professional, Scientific and Technical Services’; as well as ‘Rental, Hiring, and Real Estate Services’. And Ramona says that it’s these industries that produce the bulk of her clients. Interestingly she says that while she often shoots groups of corporate suit-and-tie folks, her main market is entrepreneurial women starting a business endeavour. She views her photography, along with branding, as a powerful way to get ‘their personality out there’, and most photos she sells are bought to be published on LinkedIn and their business websites. But Ramona also says that besides the photo shoot, she operates ‘a real personal service’ and intuitively draws out her clients personality before and after the shoot, a skill she honed during her time as a counsellor. While Ramona might be missing out on other opportunities by only offering digital prints, being upfront about pricing and marketing herself to a niche group of clients, she says it’s what works best for her. And given she’s noticed a few competitors have, shall we say, drawn inspiration from her business model – sometimes word for word – she must be doing something right! Ramona’s book, Branding Yourself For Success, is not about photography but how to ‘uncover your unique personal brand’ with ideal information for anyone operating a small business. Click here to read more.